I just finished a minor project I was asked for several times over the last months and years. As most of you know, the NBTHK provides an English translation of Dr. Honma´s Nihon-koto-shi on their website, but just the plain translation without any pics here. Non-members of the NBTHK and younger members which don´t have all the back issues of the Token-Bijutsu asked me frequently where to get the pictures or if I am willing to sort them out. 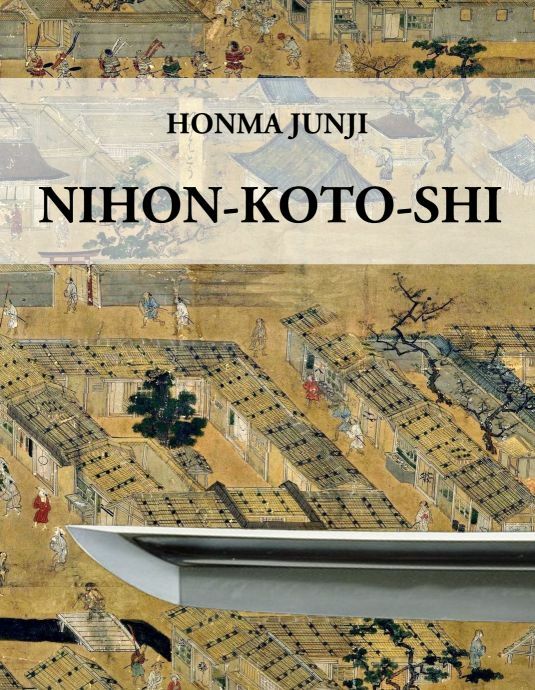 Now I fulfilled this request and compiled a paperback version (and an eBook version) of the Nihon-koto-shi with all the pics, but not only that, I added also a lot of pics mentioned in the text but not shown in the Token-Bijutsu reprint. The result is a 320 pages 408 b/w pictures book (7.44 wide x 9.68 tall) available as a personal reference. Once again, this version will not be available in public so if you are interested in a copy, please contact me for further details via “markus.sesko@gmail.com”. The price is $60.00 + $10.00 flat shipping rate and determined by the printing costs and the compilation work involved.